In the attack on Westerners and Jews in Mumbai, many people tragically lost their lives. At the Chabad House, a cross-section of Jewish people were tortured and murdered. Judaism tells us whenever there is terrible suffering inflicted upon us, we are permitted to read into it that the Creator desires for us to do teshuva (return), which means to come closer in our hearts to Him. It did not matter to the terrorist murderers that they were Chassidic Jews, Israeli Jews, or American Jews. It only mattered to the killers that they were killing Jews. Amongst our people, we have twelve tribes, since the beginning of our people. Not all Jews are or ever will be the same. However, the importance of every Jew knowing that we are all connected, no matter if we disagree with each other, is crucial. 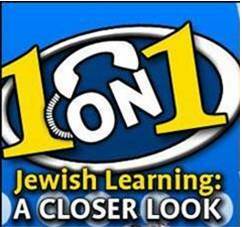 This website is designed for the purpose of providing a tool to connect with Jews of all kinds, for the purpose of providing a means to connect with each other on a one to one basis. The goal is to see and feel that each and every one of us belong to the Jewish People and to accept each other, even if we agree to disagree. What the goal here would be is to restore a sense of love between all Jews. In his speech on Tisha B'Av, Rabbi Mattisyahu Salomon, the Mashgiach of Lakewood, chose the topic of jealousy as the cause of much difficulty. He brought out in the discussion that our nature is that jealousy and the feeling of lack are very great and ingrained in our egos, so much so that we cannot hope to eradicate it completely. The feeling of jealousy and lack will be neutralized in an environment of abundance, so that no one feels a lack and no one wants for anything. Toward that end, he entreats us to realize that we are suffering from this quality and that we should, whenever we feel any lack, pray to the Creator and say "We don't want suffering, we only want You." With this tool, perhaps we can overcome the cause of the destruction of the Second Temple, which was destroyed because of Sinas Chinum, baseless hatred. (for more on lack from the Maharal, please visit the Spirituality page at the link at the bottom of this page). Rabbi Salomon said that in order to be redeemed, we do not have to do anything extraordinary. All we have to do is remove the cause of the destruction of the Temple, baseless hatred. Explaining that the root of such hatred is jealousy and ego, and giving a way to recognize that we are suffering from this, Rabbi Salomon offers us a spiritually based tool for rising above ourselves to connect to the Creator. One example that made headlines recently was the passing of a young boy from brain cancer. He was hospitalized and on life support and became clinically brain dead. Yet his heart was still beating with life support. There are varying halachic opinions about the status of the soul. The family's Rabbi held that his soul was still involved with his body even though he was brain-dead. The hospital went to court to override the family's wishes because the hospital wanted to take the child off life support. The family said he was not yet dead according to Judaism. Before the court could decide, the young boy passed away. During this sad time, the story was on the front page of the newspapers because of the law suit. Why do I mention this? The reporter went to the trouble of interviewing Rabbis from all different branches of Judaism. He included their opinions, often clashing opinions. Within our people, we understand the differentiations made. But quite frankly, when I saw that article on the front page of the paper, I wondered how it looked to the non-Jewish world. Yes we are twelve tribes. But we must realize that to approach differences of opinion with our nature alone is dividing us. To unify us, is it possible to approach differences of opinion with a subdued nature, subdued by the desire of wanting closeness to the Creator Who sustains every one of us, emptying ourselves enough to see that there is an area that we are all connected, whether we agree or not? "We don't want suffering, we only want You" - is that enough to allow us to express our opinion without having to defend it through emotions and human nature? To me, the boy who was brain dead was obviously no longer involved with his body after he died while on life support. Before that, while he was on life support, it appeared to me that I could see that there is more than this world. Until the Creator took the boy's soul out of his body (according to everyone's definition), we could see that a soul is a soul and a brain is a brain. Our life is more than our brain. While in this world, there is no hope without a brain. That is true. What we saw here is that the cessation of the brain is not in all opinions the cessation of the soul. The life support continued to work after the boy was brain dead. If life support could sustain a person who is dead by everyone's opinion, there would be no cemeteries - our final resting place would be somewhere on life-support. In those few days, what was a nightmare, a despair, and a time of sadness was also a time when, as I look at it and understand it, was a way to see that there is more than just this world for which we need a brain. In my view, we have a soul that exists beyond the simple function of our bodies, and we are by some opinions alive until it separates completely from the body. It is this soul of ours that creates unity between all Jews. Why? It is through our soul that we are linked to the Jewish People. In the Creator's eyes, we are like one body with different parts. Let us take that lesson to heart, and realize that intellectual differences aside, soul to soul, each of us is part of the Jewish People and we need to see each other from that perspective, to address each other from that perspective. We don't have to agree. We do have to understand how we are connected and thereby, in that understanding, unify ourselves. *At the end of the 32 days since the murder of the people in that synagogue, * Hashem will put on a garment of outrage and Mashiach ben Efraim will spread, like a ram whose horns go upwards. And the Shofar will blow three times and a tremendous noise will descend on the world from the blowing of the Shofar and the Whole World Will See & Hear. The *Sitra Achara* (the impurities) will be completely wiped from the Holy Land and Yishmael will make three wars with Mashiach. Then they will come and bow down to the Master of the Universe in Yerushalayim, and the wars will be in the sixth millenium. The terrorists attacked and murdered the five Kedoshim in Mumbai on Wednesday night, November 26,2008 - Cheshvan 29. 70 days prior to November 26 was September 17, 2008 - the day the Stock Market plunged 449 points and Islamist Militants attacked the US Embassy in Sannaa - The capitol of Yemen. Thirty Two days after the five Kedoshim were murdered in the Mumbai attacks - is the 8th & Last day of Hanukah. May this be the foretelling of Moshiach that we all hope for. The Jewish people are one body.